RIP to my dear friend and teacher Paul E. Chambers, without whose vision, creativity, and initiative station923 would not exist. I will miss you sorely. Your work, your ideas, your creativity and brilliance have changed my life forever, and I am grateful to be able to uphold your legacy at station923, the little railroad property you rescued from a derelict state, transforming it into a work of living sculpture. 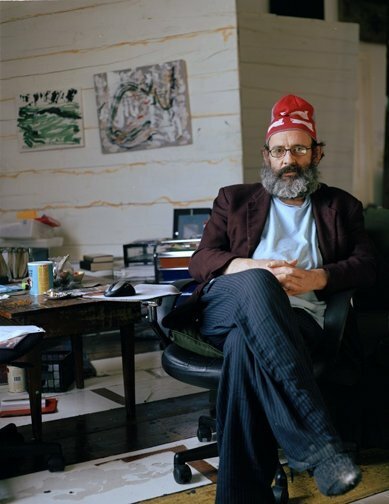 Read more about the man, the artist, the philosopher, in today’s Ithaca Times, in a beautiful piece written by Danielle Winterton. We are grateful to have it. Posted: Wednesday, May 30, 2012 12:00 am | Updated: 2:06 pm, Wed May 30, 2012. 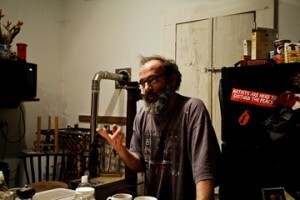 Artist and Trumansburg resident Paul Chambers passed away peacefully at home on Saturday, May 19 after a five month battle with cancer, and on Thursday, May 31 beginning at 5 p.m., Chambers will be remembered by his friends and family in a memorial service, which is followed by a potluck. The community is welcome and encouraged to attend. Painter Paul Chambers was born in Lincoln, England and moved to New York after completing his BFA from the Bath Academy of Art in Corsham, England; he then completed an MFA from Cornell and went on to teach at Elmira College as an instructor and then at Cascadilla School as Head of Art. It was in Ithaca and Trumansburg where he would later recycle salvaged materials to restore and transform area properties, and focus on developing an illustrated philosophy and a body of writing dedicated to the idea that religions should be redefined or reimagined as works of art. “He was a radical and independent spirit whose life added up to a great deal and which in the fullness of time will become more apparent to a much wider circle,” said Richard Riley, Head of Exhibitions in Visual Arts for the British Council and Chambers’ oldest friend. Brian Moran, a student at Cascadilla School, recalled an exercise in a class he took with Chambers. He was about 15 years old, he said, and the assignment was to make drawings of space. “We weren’t supposed to focus on objects or bodies or any of the fixtures in the room,” Moran said. “The task was to use pencil marks on a piece of paper to evoke a sense of the space of the room we were all sitting in. 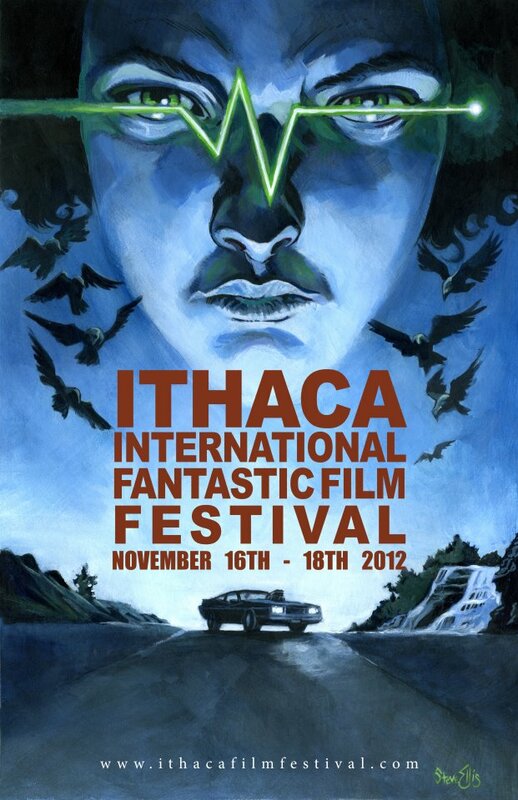 In the framework of promotions for the Ithaca International Fantastic Film Festival (Nov 16th to 18th 2012; @Cinemapolis and Cornell Cinema), Station923 is hosting a free screening of Pop Skull (Adam Wingard, 2007) at 9.30pm on Sunday the 20th of May, directly following Karen Brummund’s video screening. With this, his second feature project, Adam Wingard delivers a personal, low-budget film filled with psychedelic visions, frantic editing and original story telling. Indeed, Pop Skull marks him as one of the most creative directors of his generation. His 2010 film, A Horrible Way to Die, received much acclaim, and in 2011 he directed You’re Next, which is distributed by Lionsgate and will be released this fall. Wingard also directed one segment of the found-footage filmV/H/S (Magnet; 31 August 2012), as well as one segment of the highly anticipated massive horror anthology The ABC’s of Death (Magnet/Drafthouse films; World premiere @Fantastic Fest 2012). For the last six years, Karen Brummund’s studio was based in Ithaca. She made installations locally in Ithaca, Trumansburg, and Groton. 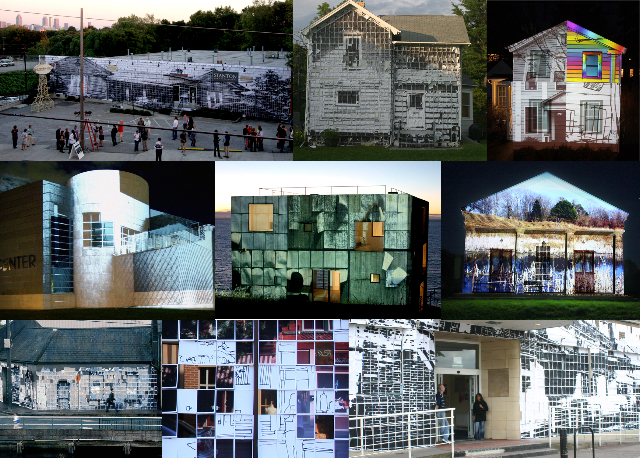 She also traveled around the world to create her site-specific installations on architecture. Videos of her work will be screened at station923 on Sunday, May 20th. Beginning at dusk, rain or shine, we will enjoy Brummund’s videos before she and her studio move to Alabama.